Anthony Burokas: My name is Anthony Burokas with Streaming Media here on the show floor at NAB 2018. I’m here in the Lightcast booth. What does Lightcast have to bring NAB attendees this year? 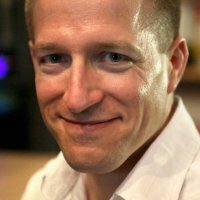 Andreas Kisslinger: Here at lightcast.com, we believe that viewership is currency. You just need to know how and where to exchange. One of the big challenges publishers and media producers face today is to keep up with the fast pace of ever-changing landscape of new devices and screens and platforms coming out, how to integrate them, how to publish to them, and how to simplify workflows in order to reduce avoidable overhead costs and keep it affordable. Anthony Burokas: Now, the cloud is a big thing, but I'm told you have a different type of cloud. Andreas Kisslinger: We have a product called the Media Cloud, which is our media management or content management system, which allows publishers to very easily upload all their live streams, linear streams, create live events, record live events, upload on-demand audio/video content, all the associated metadata, images, subtitle files captioned. Then, with one click, push it all out and distribute it to all their properties, their TV apps, their mobile apps, web apps, website, social platforms, all with a single click, really from anywhere in the world from any desk in any office, or even comfortably from, if need be, from a tablet in your bed at night in a hotel room on the other side of the planet. Anthony Burokas: Now, it sounds like this is fairly enterprise-level stuff. I mean, what if it's a smaller producer, and they don't have an app? Andreas Kisslinger: We really take pride in servicing every customer of every size. We have so many startups and nonprofits and independent producers that we have been servicing over the past decade and more. We saw them growing like crazy, some of them wildly successful. We have the privilege to just follow along and have them use our SaaS platform, our media management system, and help them, and also provide end-to-end packages and sponsorships for those who need it to help them get up and running on all the major OTT platforms with their own TV apps, custom-branded, customizable. They can control everything, including the navigation structures, categories, subcategories, series, seasons, create all that in the Lightcast Media cloud. Then, all of that is pushed out live in real time to all of their web apps, TV apps, and mobile apps at the same time. It makes it very, very easy for anyone to publish to OTT and to every platform. 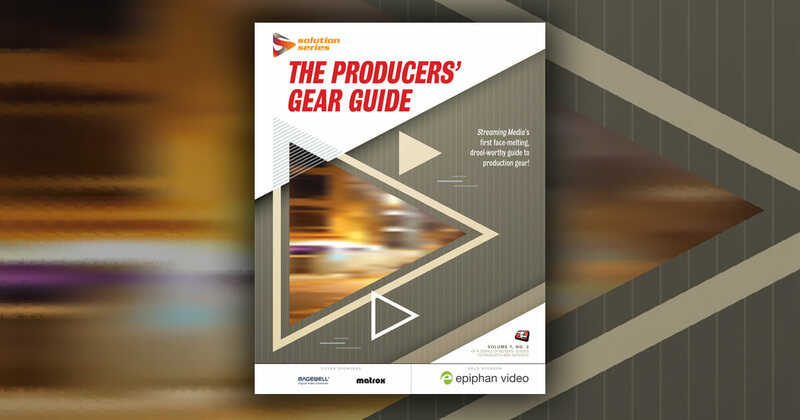 Anthony Burokas: So, realistically, the smaller producer or any-size producer is really able to focus on their content and shift the burden of everything else over to you. Andreas Kisslinger: That's exactly what we want to do and what our products are here for and designed to do, and it's so ultra-scalable. We have entry-level plans for even small producers and startups. They can scale up seamlessly without any interruption or having to change anything as their viewership grows, their demands, requirements grow, new monetization, tools and strategies implemented, from subscription, authentication across all their apps and websites and players, to advertising integration, serving their own ads, pre, mid, post, et cetera. All of that is part of the media cloud in a package, and it's scalable endlessly. We have large corporations to mid-size, mid-tier, and nonprofits, education, sports, news, as well as independent producers of all sizes using it. Anthony Burokas: Wow. That sounds like a great solution for somebody who has the concept, but they don't have the whole back end figured out. Anthony Burokas: Well, thank you very much for taking the time. Anthony Burokas: We're here at lightcast.com. Check them out online. My name is Anthony Burokas for Streaming Media here live at NAB 2018.